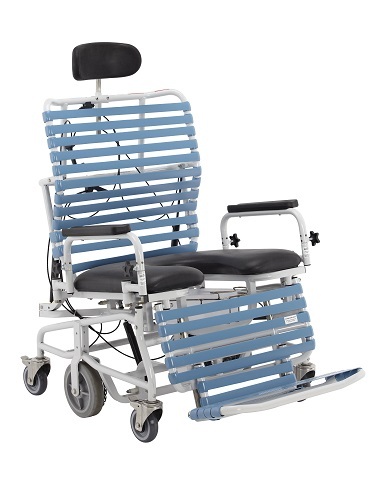 The superior comfort and versatility of the Revive Bariatric Tilt & Recline Shower Commode combined with durable stainless-steel frame and components makes the Revive Bariatric ideal for use in shower rooms. 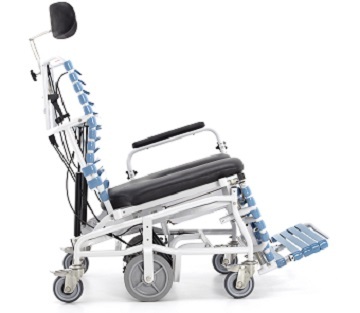 With 14˚ of posterior tilt, 8˚ of anterior tilt, up to 65˚ of recline, full elevating legrest, and removable rotational armrests, the Revive Bariatric provides positioning for safe, thorough bathing, improved ability to wash hair and improved access to abdominal and peri areas. 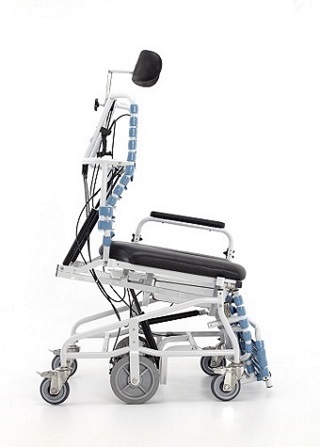 The padded commode seat and height adjustable headrest provide enhanced patient comfort. 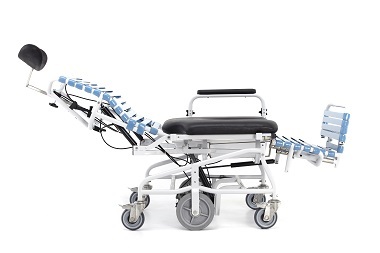 The Revive Bariatric provides an 363kg weight capacity and industry leading lifetime warranty on side frames and cross members.